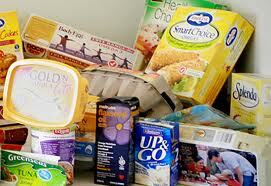 “Processed” Food is poison….or is it? We are all trying to eat less processed food these days – the trend toward eating food that is as close to it’s natural state as possible has really taken hold. Have a think about the current and latest healthy eating movements – ‘raw food’, ‘clean eating’, ‘wholefood diet’….it’s all about eliminating the amount of added gunk, and eating food that hasn’t been tinkered with too much. It’s a good philosophy, and by and large I would say it is an excellent way to view food. But what exactly is ‘processed food’? 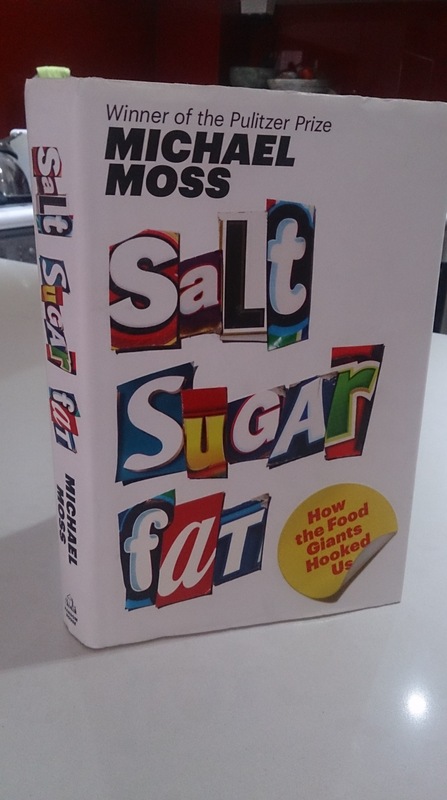 I read a book recently called ‘Sugar, Salt, Fat; How the Food Giants Hooked Us’ (a good read btw, you can buy it on Amazon here), which was a fascinating and very scary insight to the beginning of the processed food industry. Circa 1960….”housewives” were going out and getting themselves jobs, hence they had less time to spend whipping up a quiche for dinner and a self saucing pudding for dessert every night. They wanted meals that were convenient to buy and easy to prepare, and with the emergence of microwaves, the big food companies started to get funky with the chemical composition of foods. The trend then was toward ‘meals’ that could be microwaved, made by ‘simply adding water’ or something equally simplistic. Fast forward to 2013/4, and it’s all about less processing, and in fact, many people are on the raw food bandwagon, with enthusiasts following this philosophy eating a natural diet of 100% raw food. There has been a lot of controversy around whether eating a totally ‘raw’ diet is the best thing for you. There are many foods that actually benefit from some amount of processing, with some heating or treatment either enhancing the food’s nutritional benefits, or offering the opportunity for manufacturers to add fortified nutrients. Eating too much raw food can actually create digestive issues for some people. It is alot more work for the digestive system to break down food from it’s raw state, and to get at those delicious nutrients inside. Those who follow Ayurvedic philosophy will know that it’s not for everyone – Ayurveda suggests that some people’s bodies are not at all suited to raw foods, and for some people, this type of diet can cause problems such as asthma and allergies. The thing about food processing is that it can take many forms. In my eyes, if you are cooking, germinating, sprouting, dehydrating or activating your food, you are in a way ‘processing’ your food. And that’s not a bad thing! There is no doubt that cooking your food in the wrong way can destroy some vitamins, minerals and enzymes (think veg that has been boiled for 10 minutes too long), but there are many examples of nutrients that are actually enhanced through some level of processing. For example, did you know that the traditional process of making corn tortillas involves using limewater (this process is called Nixtalisation)? This process allows for the Niacin (Vitamin B3) that is bound up in the corn to become ‘free niacin’, available for absorption in the body. This process dates back many hundreds of years in Aztec and Mayan cultures, and was designed to eliminate or reduce the incidence of Pellagra (niacin deficiency) in the communities where corn was a staple food. And what about our old friend Lycopene? The most powerful carotenoid and a powerful antioxidant that prevents the oxidation of LDL cholesterol, thereby reducing the risk of coronary heart disease and artherosclerosis, lycopene is found abundantly in tomatoes. The amount of lycopene in tomatoes is actually enriched when heated, ie. cooked – the heating breaks down the cell walls and allows the lycopene to be released. So tomato paste and canned tomatoes are actually higher in lycopene that a fresh tomato….any day of the week. And then there are fortified foods. The mandatory fortification of bread with folic acid in 2009 in Australia had a significant impact on levels of folate deficiency in the population, reducing the incidence of Neural Tube Defects, such as Spina Bifida, in newborns. The list goes on…Sanitarium’s B12 fortified vegetarian range, non-dairy milks fortified with calcium and Vitamin D, iron fortified baby foods and rice (NutriRice), which was developed to help reduce malnutrition among children in developing countries. I’m all about a diet that is largely comprised of whole, fresh foods – eat fresh for sure and make an effort to avoid too many nasties (salt, sugar, fat, preservatives, food additives etc). Just get smart about the processed foods that you are eating, and make sure they are adding maximum goodness to your already healthy diet. This entry was tagged #processedfood #rawdiet #rawfood #cleaneating #fortification #wholefood. Bookmark the permalink. ← Are you a snacker? Maybe you should be….